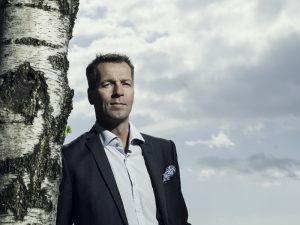 Juha Stenberg, managing director of Ensto Chago, on the post-Brexit environmental landscape and the challenges of the shift to electric mobility. Do you foresee any changes in the UK’s environmental policies, post-Brexit? It’s fair to say the EU has been, from a global perspective, the forerunner when talking about climate change and environmental issues, and Member States create a certain critical mass on the world economy and also political power. Nevertheless we all know that the global warming and environmental issues cannot only be solved by the EU. We need the USA and China, which recently signed the COP21 agreement to limit global warming to 1.5°C. Even in the EU, it’s a union but directives are directed to local level. Each country either needs to put the directives in force and change the legislation so the targets are met. So even if the UK is not part of the EU it would still be at the same tables for these discussions. No country can hide from the problem. As an importer, are you concerned about the financial consequences of the referendum? Even now you have your own currency, and it’s not fixed with Europe. Right after the referendum, we saw a weakening of the Pound against the Euro, but now we see it recovering. I don’t believe there will be any tax barriers or export barriers between the UK and mainland Europe, as it’s not in the interests of the countries. How should the UK government stimulate the market for plug-ins? It seems that all the countries are pretty much implementing the same programmes. There are incentives for drivers – private or a company car – and both are working. People are talking about the total cost of ownership for EVs, and that even without subsidies it makes sense. But when you go to buy a car you are looking at the face value. EVs need to be close enough that they attract customers. The other part is the infrastructure. Once people are considering EVs they start to think about charging them. You have the programme in place for home charging, but then there are also programmes in many European countries that subsidise office and public charging. These two things need to match. You need to get the people interested in the cars and get them interested in rolling out the infrastructure. I was in Brussels recently, at an EV event with lots of universities and institutions. One speaker said that people don’t understand that global warming is a big problem. The COP21 agreement is targeting a reduction in CO2 emissions but, on a local level, it’s NOx that should concern people. Research has shown that 9% of deaths in the EU are due to NOx, because of the pollution from transportation. That’s not CO2, it’s the other particles coming out of the tailpipe. It’s about communication. Some people have an idea that EV is about driving a sports car that accelerates to 60mph in less than three seconds, but it’s a lot more. People haven’t yet realised that. This transformation from combustion engines to EV is huge. It’s about global warming, it’s about health, it’s about the trade balance because less oil is transported, and it’s about how the EVs will benefit the energy system because countries are building more renewable energy and they need to have smart charging to control the demand side of the energy. EV touches so many areas, improving them all, but it’s difficult to understand.